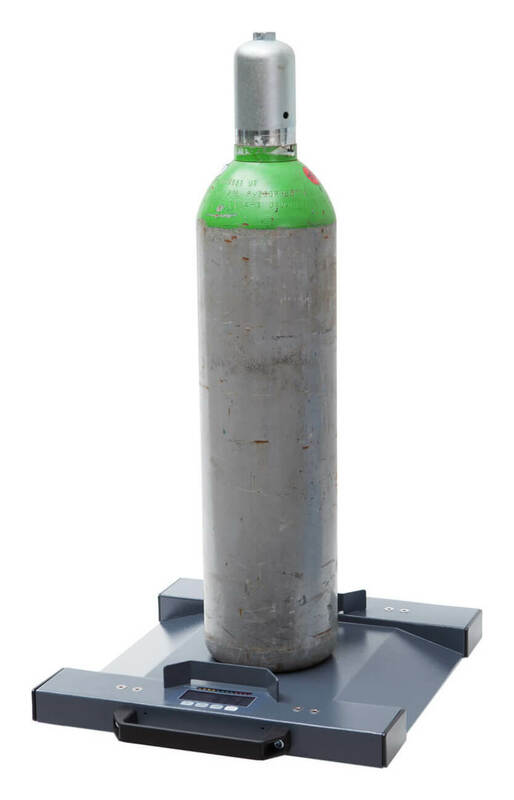 Product information "Gas Cylinder Scale FWW"
The high-quality, digital gas cylinder scale is used where the content of a gas cylinder must be determined. Bosche gas cylinder scale was developed specifically for industrial use. 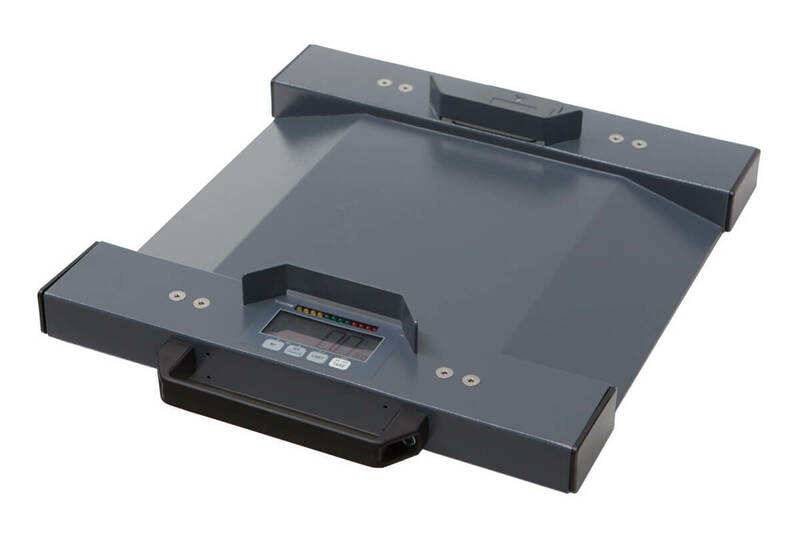 The combination of the weighing platform with integrated scale display is provided for easy weighing in mobile applications. The intuitive operation via easy keypad and allows untrained personnel an easy operation. 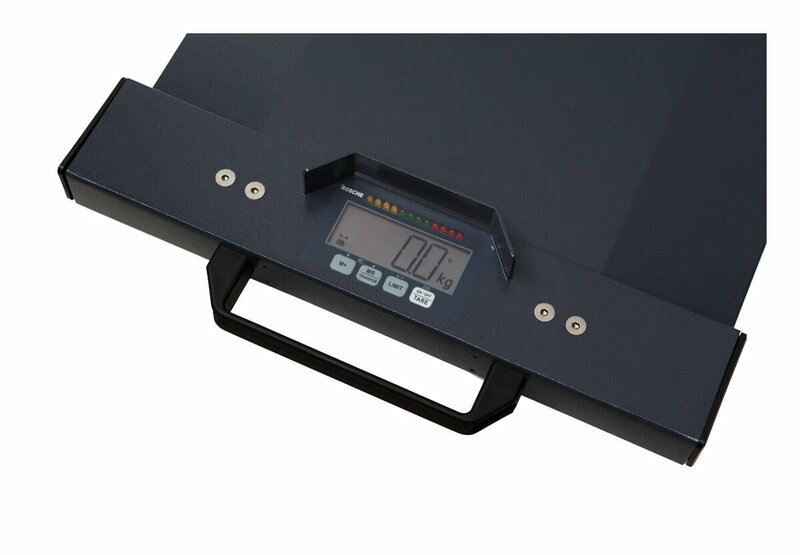 Due to its lightweight construction, the gas cylinder scale is easy to use mobile. Application area: Gas cylinder scales in the industry, as checkweigher for the bottle contents, level measurement of liquid gasses or gas cylinder scales in the private sector (eg for campers). 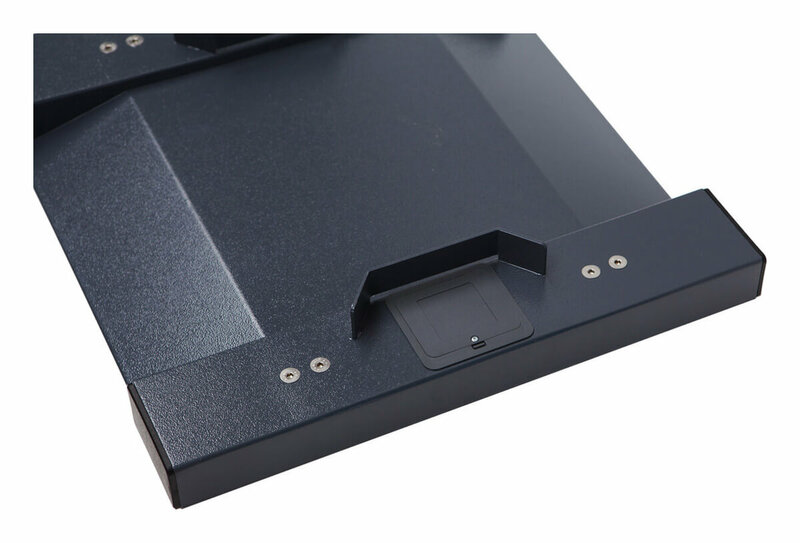 The short and shallow ramps are integrated into the weighing surface. This makes it possible to load the scale with a smaller effort. As with all BOSCHE scales, all the cables and load cells are laid in the frame and therefore protected against damage. The display unit is installed in the tubular frame of the scale platform. In addition, the cylinder scale features a comfortable handle. Platform Size: Standard size ( without ramps and side edges ) 350 x 296 mm. Another size made ​​to customer specifications, is also possible. Weighing range: Standard 100 kg / 200 kg. 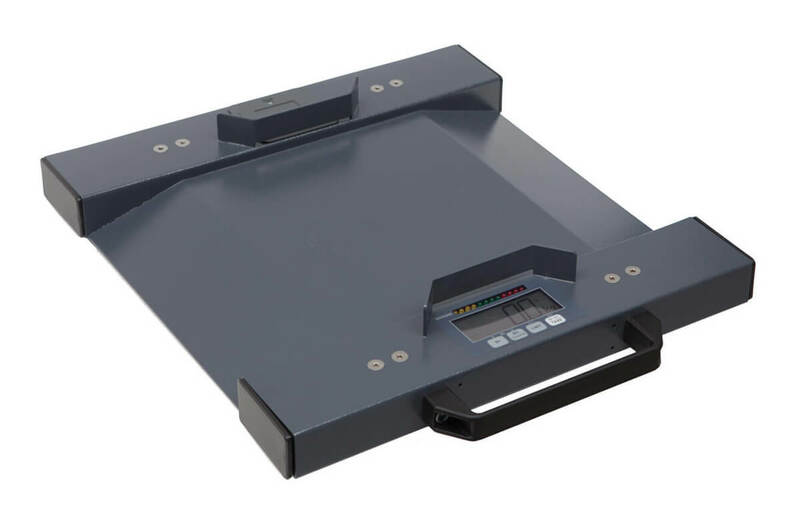 Special scales with a different weighing range are available on request. Immediately after installation, the scale can be operated. 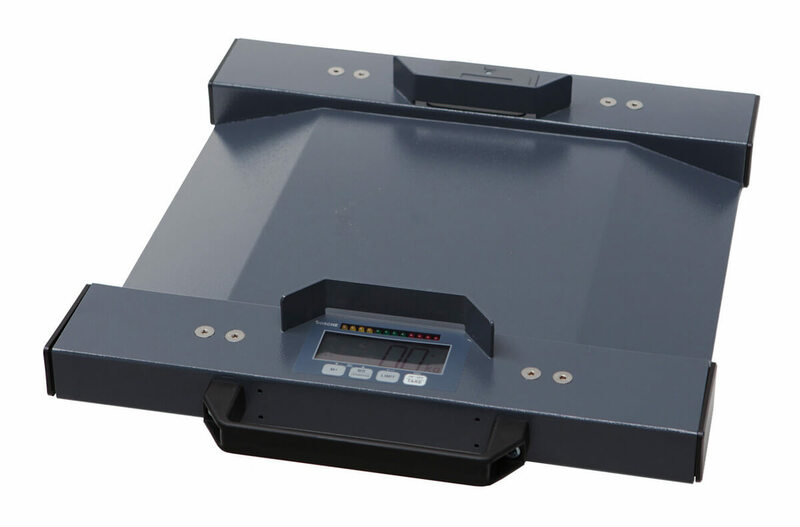 The indicator comes as standard with a high-low Go function, which allows a weight limit control (two freely selectable weight values​​, signal sound and display). An additional weighing and commissioning is due to the tare function (multiple Tara) no problem. The platforms are equipped with four high-quality strain gauge load cells. The 30 mm large display with adjustable backlight is very readable. 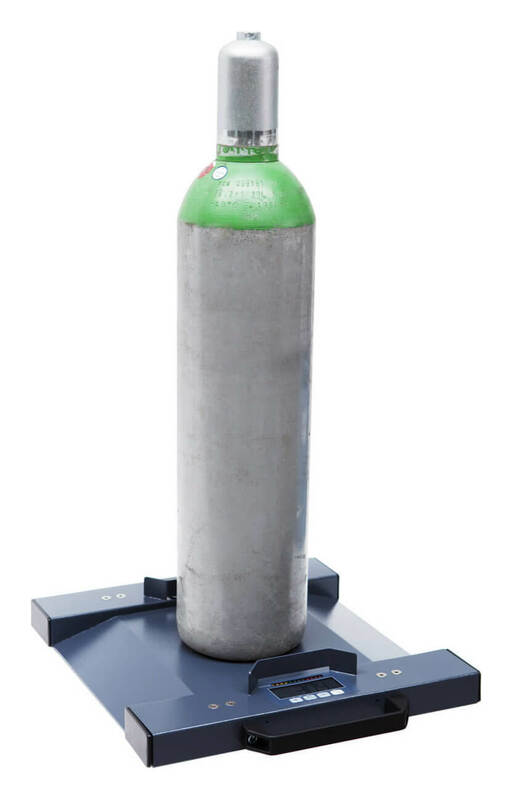 The gas cylinder scale FWW is not designed for custody transfer. 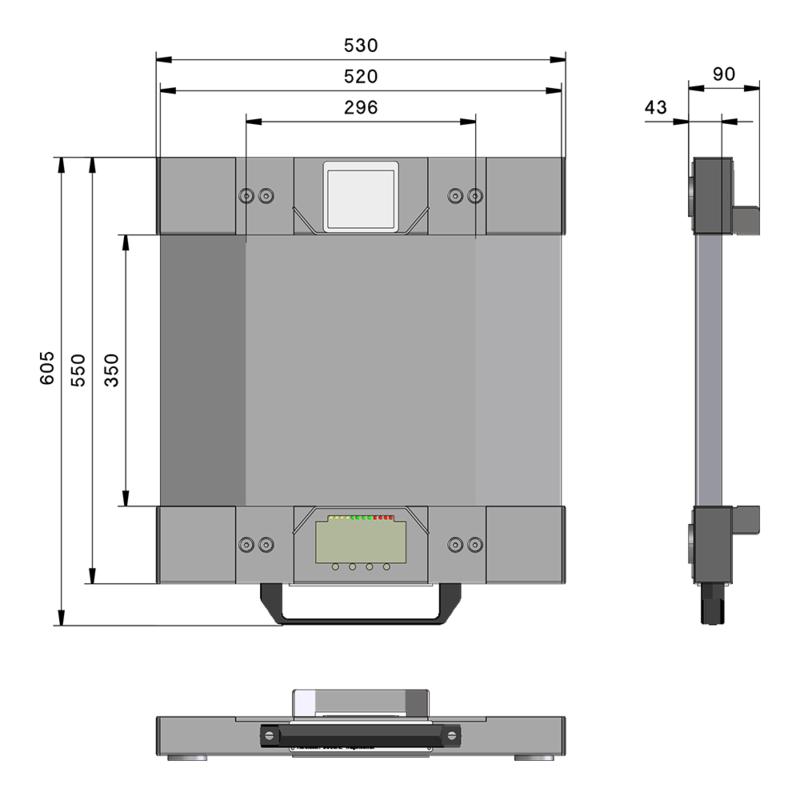 The cylinder scales are operated by batteries as standard ( 5 x 1.5 V AA Mignon ) and allow a self-powered weighing. Related links to "Gas Cylinder Scale FWW"